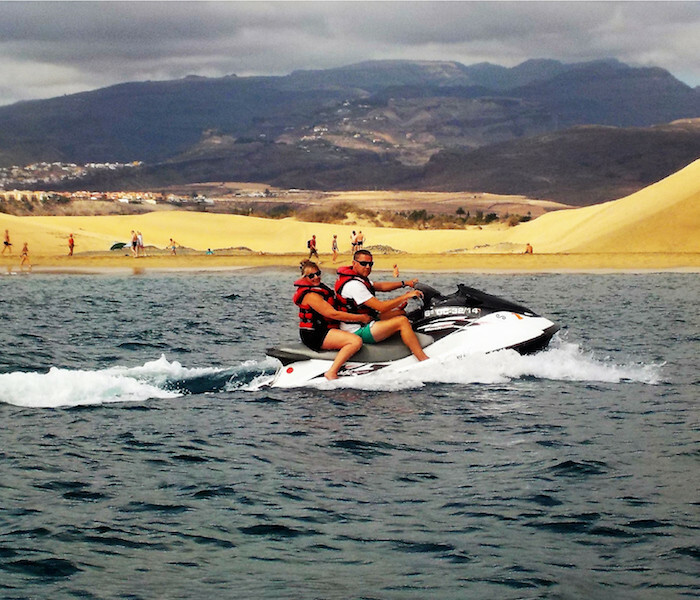 Here you have a different way of knowing the south-west coast of the Canary Islands in a very funny way: an excursion by jet ski. 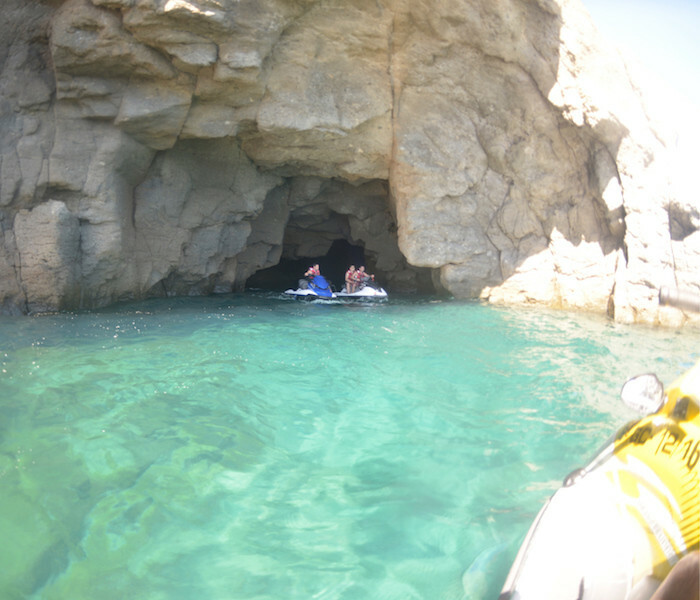 You can enjoy the unbeatable views offered by the caves, coves and paradisiacal beaches that you will find. The perfect way to cool off if you are spending a few days under the sun of Gran Canaria. 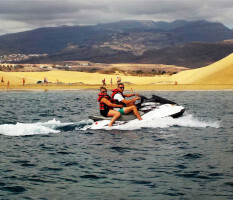 An experience in jet ski in which besides enjoying the scenery, you will have fun assured. Leave the hotel and know this destination from another perspective. Dare to try this activity and see for yourself how fun it is to go sightseeing on a jet ski. The Atlantic coast in an entertaining day, accompanied by a professional guide who will take you to the most curious places on the south coast of Gran Canaria. 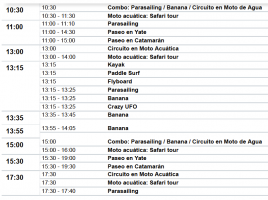 60 or 120 minutes of excursion by jet ski. 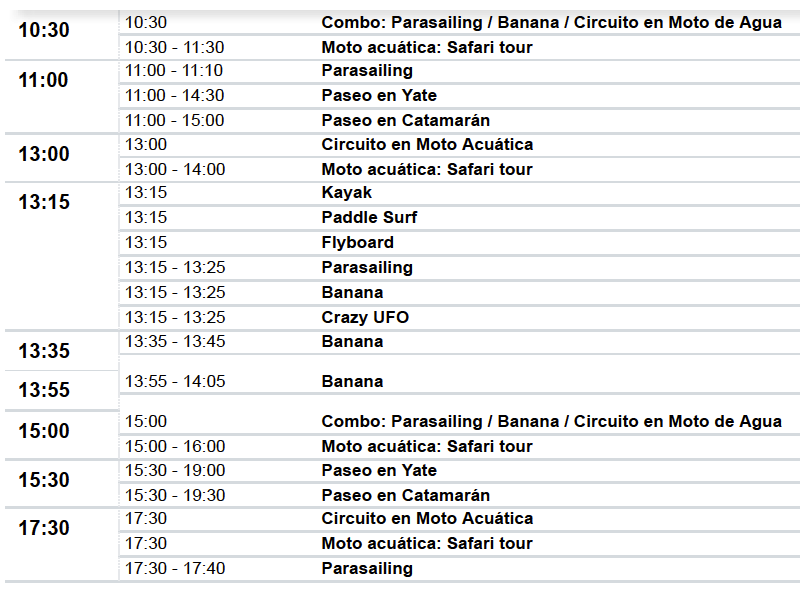 Exits of the excursion: from 10 a.m. to 4:30 p.m. every 2 hours. Age: 16 years minimum to drive the jet ski. Children under 16 can be accompanied by an adult.